Just signed up as a freelancer. I know client wants me to work next week. Is there more to do besides setting up profile? Like direct deposit or will I get actual checks sent to me? Yes, there is more to do. Have you looked at all the help articles available under the question mark on your account page? It's a good idea to spend a little time learning how the site works before doing any work, so you know what to expect. And no, checks are not mailed to you. 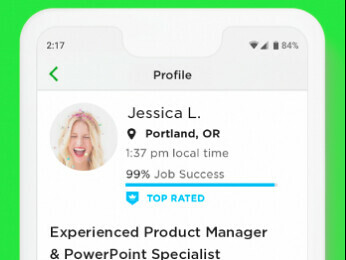 Welcome to Upwork. 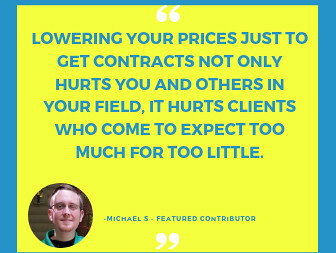 Please make sure your client send you an offer and a contract is created under your ''My Jobs'' tab before you start working. 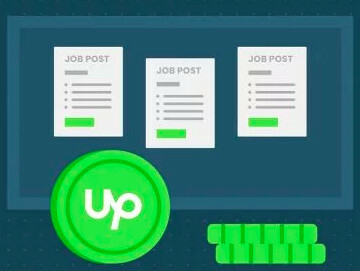 Only accept to get paid through Upwork and never pay in order to be considered or hired for a job. Please review threads Virginia kindly suggested to you, in order to learn how to successfully and safely use Upwork. Should you have any questions or concerns, please reach back to the Community and we'll gladly help you with them. Just signed up as a freelancer. I know client wants me to work next week. Is there more to do beside setting up profile? Like direct deposit or will I get actual checks sent to me? Clients that offer to send checks are usually fraudsters, make sure that you never agree to anything like that. You just signed up and you have a client already? That is great, but not the norm. Be sure to agree on the task, be hired, and just generally stay safe! Actually, in this case the client can bring you on board to work exclusively with him, which makes your approval process much easier.